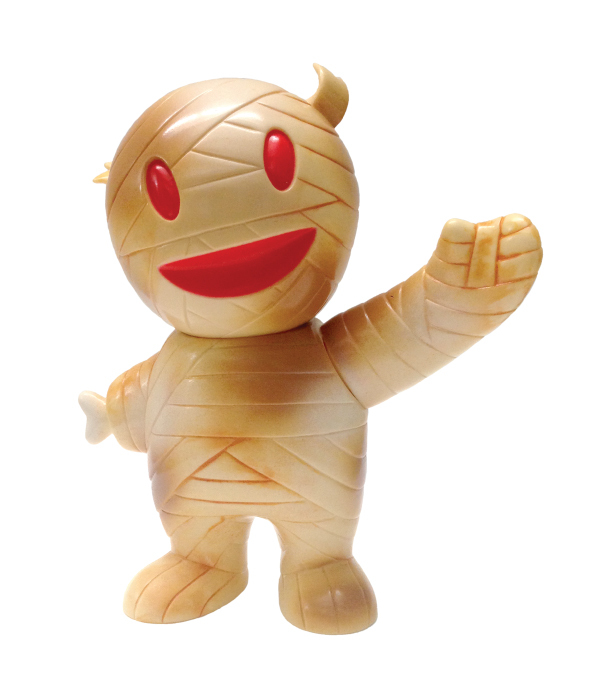 Super7’s Lovable Mascot Mummy Boy returns! After taking a nice long nap in his sarcophagus, Mummy Boy emerges from his slumber with his old dusty bandages cast in ivory vinyl with tan and white paint sprays on top of a brown rub treatment, with bright red accents. Joining Mummy Boy is Toy-Genius Le Merde’s Hollis Turd! The legendary professional tennis playing vampire returns with spooky glow-in-the-dark vinyl skin with a soft green spray, and red, white, black, olive and blue details. Both Mummy Boy and Hollis Turd will be available at 12Noon PST, Thursday, November 20th, for $50 and $35 each, respecitvely, only at the Super7 Store!